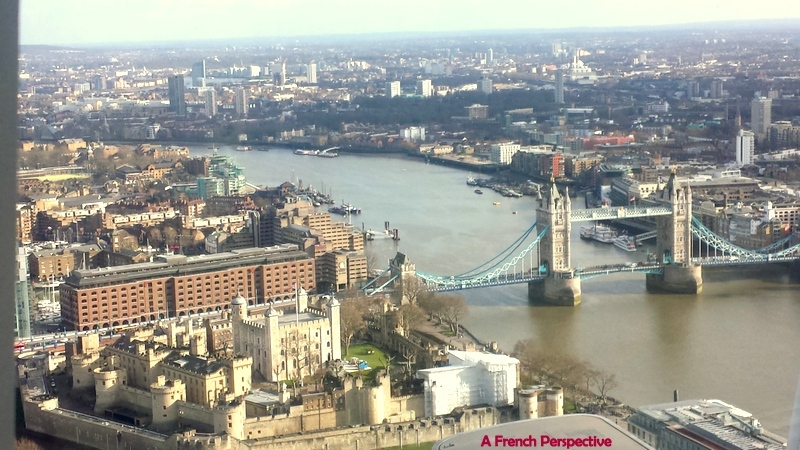 London is a fascinating city and one of the most exciting travel destinations in the world. London is certainly a very desirable cultural city with an endless offer of musicals, concerts, exhibitions, museums and you name it. However, there is one type of attraction that puts London directly into my top travel choices: the rooftops. Yes, you read it. I am in love with London rooftop bars. But despite my unconditional love for Paris, I must confess that London has a wider and most attractive leisure offer when it comes to surprising venues. 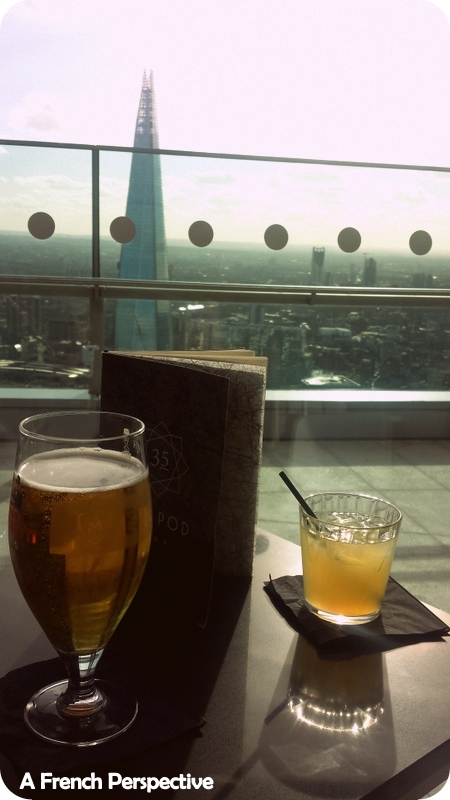 In the City of London particularly, you will find from the cutest traditional eighteen century pub with local ale pales to the fanciest glass rooftop bar on a 42nd floor: welcome to the City of London! Even though I am in love with all London’s neighborhoods and with all they have to offer, I must say that I am particularly keen on the City of London. Why? Well, because in my opinion the City of London –also called the Square Mile- is a premium London destination that has it all in one. If you follow my Instagram account you would already know that I am literary in love with The City’s landscapes and that I love eating, shopping and.. well.. enjoying the City’s lifestyle in general! It can sound strange to you as most people believe that the City of London is a financial district only where only sky-scrapers and business men co-habit from Monday to Friday. But this is so far from reality… in fact, to me the City of London is not only the historical heart of London but it is also the best place to stay if you come to visit London. The City is, indeed, the most diverse and complete area in London where History, architecture and leisure meet for most tourists’ delight. In fact, when I am in London I tend to stay in the City of London area only where I go to my favourite food markets, where I meet with friends at some London’s best venues and where I do my shopping. But today I am only going to take you through my latest visit to the recently inaugurated rooftop, which is, in fact my latest discovery! 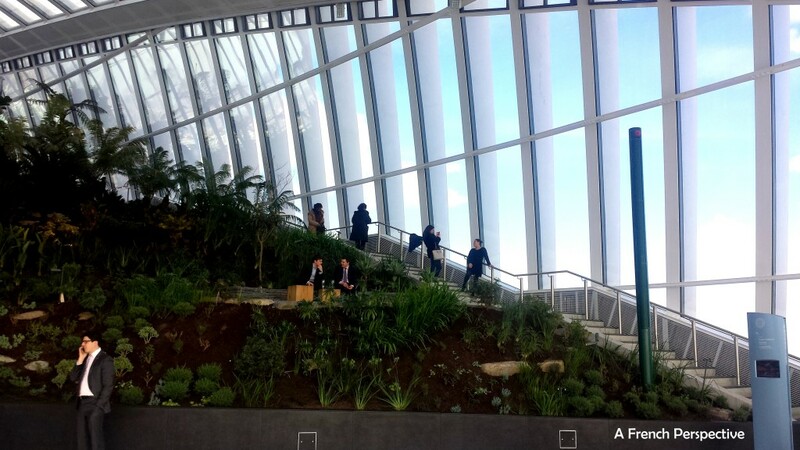 The Sky Gardens is an amazing concept; more than a simple venue with views. 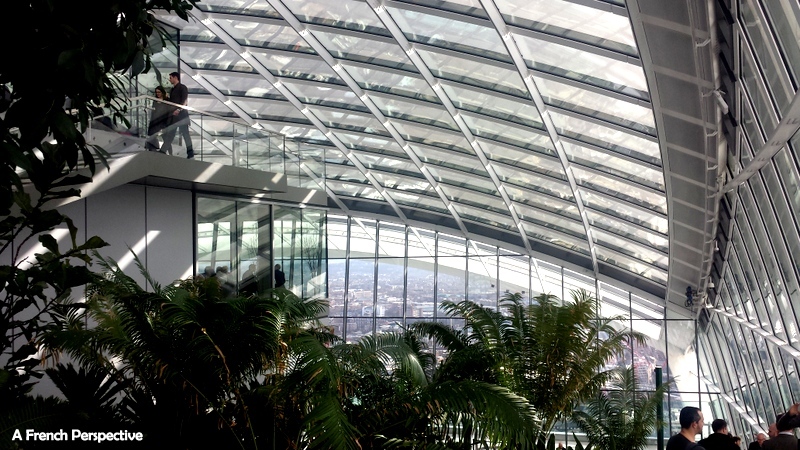 On the last floor of 20, Fenchurch street, you can find a botanical garden, a public area with free to seat benches and 3 top notch venues where you can have a simple coffee or dine in style! The public garden of the iconic Talkie-Walkie building are free to access even without dining but you must book your slot quite far in advance as well as go through a strict airport-like security check. However, the wait and the visit are well-worth. I was very lucky to get my slot yesterday after lunch-time, it was sunny and not too busy. I was planning on booking a dinner table at the brasserie but I decided to go around and check the gardens first. I loved the fact that there is a strict passport and security check downstairs, it made me feel safer to be honest. The lift ride is incredible fast but not impressive as you cannot see the outside, like you can at the Heron Tower. On arrival you are impressed by the space and the public areas. I decided to go for a relaxing afternoon drink while enjoying the warm afternoon sunshine and… the views. Well, if I am totally honest views are not the best of all the rooftops in London because the bar area is quite far from the windows. The steel structure doesn’t offer a clean view either and the fact there is a terrace outside (closed in winter) makes it harder to get the eagle-eye’s view. 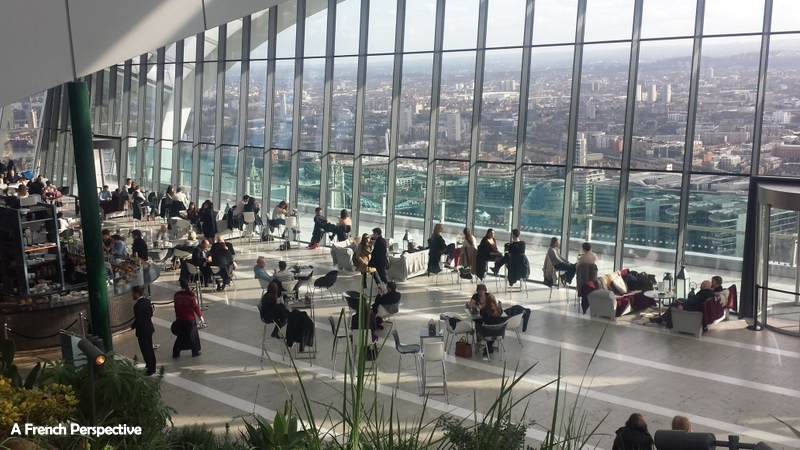 However, the bar area at the Skypod bar is very nice, comfy chic and still offers great views. I had a chance to look at the main restaurant’s seating area and I think you would be too far to actually enjoy breathe-taking views. 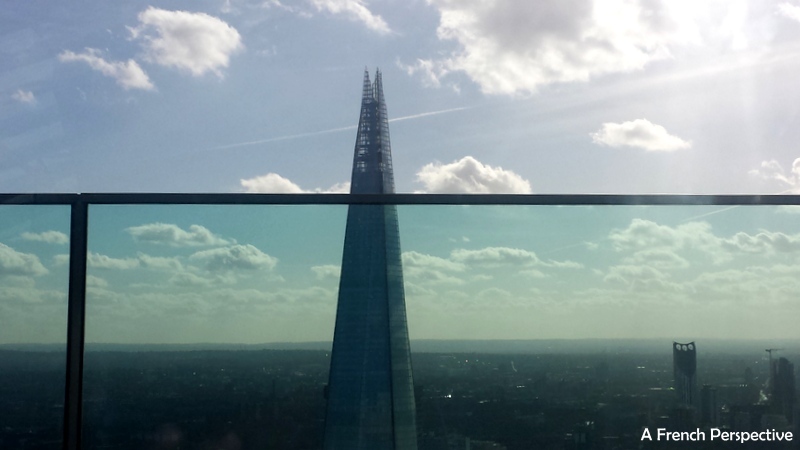 However, dining at one of London’s highest buildings is an experience not too be missed. After a nice drink at the Skypod I started exploring the public area and botanical gardens and.. taking hundreds of pictures! In fact, the views from the side and from the back (opposite side to the restaurants and main entrance) are truly amazing. 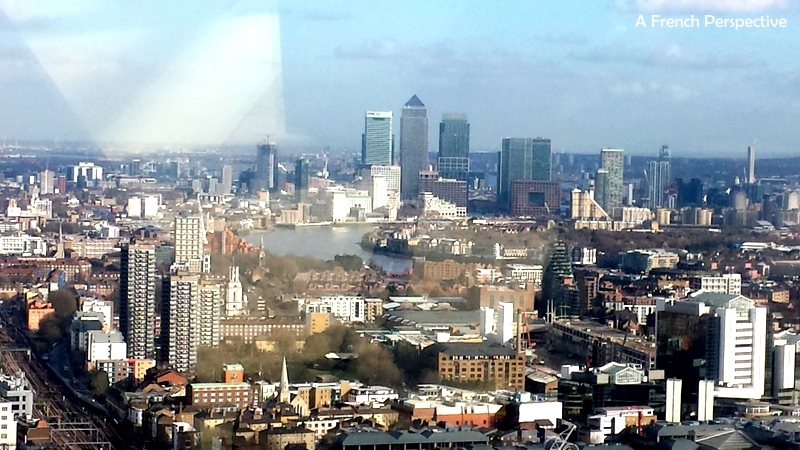 You can see Canary Wharf from a very different perspective and, of course, Tower Hill and Tower Bridge from above. It is also very interesting to check the City of London from there so you can appreciate the diversity and architectural contrasts: twelve century churches hidden in between modern tall buildings, where else in the world can you see such contrasts? Of course, the view goes all around the sky garden and on the right side you can look out to find Saint Paul’ s dome and the View point further away. All in all I would definitely recommend you to book a free visit to the Sky Gardens and ascend one of the most iconic sky graters in London. But if you are looking for a romantic or, just, a special dinner check this website and make sure you book your table in advance! I hope you enjoyed my photos. Don’t forget to share the news. Merci! Tagged cocktail bars, London, Luxury Experiences.